The next offering of International Business Experience (IBUS20007) will be in summer 2020 - Delhi, India. Further information will be available at the commencement of semester 2 2019.
International Business Experience (IBUS20007) provides students with a broad overview of business and economics in an international context. Students undertake a substantive overseas learning experience. The Faculty of Business and Economics works in collaboration with specific partner universities globally to develop and deliver the subject content. The overseas experience is typically two to three weeks in duration. All assessment tasks are determined and graded by the University of Melbourne subject co-ordinator. Partners who have previously participated in this subject include: National Chengchi University (Taiwan); Singapore Management University (Singapore); Shanghai Jiao Tong University (China); and Tsinghua University (China). International destinations differ by semester (summer/winter intensive only). IBUS20007 International Business Experience is a 12.5 credit point subject offering an intense but rewarding overseas experience. Assessment tasks to be completed include: a reflective journal, research essay and a group presentation. Please note that an additional program fee applies to this subject. A large number of $3000 New Colombo Plan grants are available to support study in this subject (available to Australian citizens). In addition to the standard University subject fee, there is an additional program fee of between $1,800 - $2,200 (non refundable). The following funding options are available to eligible students. The New Colombo Plan (NCP) Mobility Grants support Australian undergraduate students to study and intern in the Indo-Pacific region. There are a large number of $3,000 NCP Mobility Grants available for the summer study tour. Eligible students will automatically be considered for a NCP grant. Note: Students who are awarded NCP funding are ineligible to also receive a Melbourne Mobility Award. $1,000 Melbourne Mobility Award available. The grant is awarded to eligible students on the basis of academic merit. OS-HELP loans are available to students enrolled in a Commonwealth Supported Place (CSP) in a degree course who want to undertake part of their study overseas. Missed the recent information sessions? View the presentation slides below. Applications for the summer study tour are now closed. Please note that an additional program fee applies to this subject. External and University funding may be available to support your participation. a short statement that demonstrates their interest in undertaking this subject. 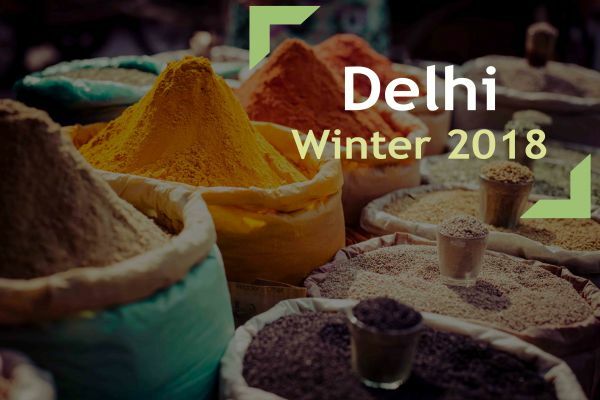 We have completed our information sessions for the 2018 Winter Study Tour - Delhi. If you missed our information session, you can access our presentation. Applications for International Business Experience (IBUS20007) are now closed.